Start in Bishkek and end in Dushanbe! 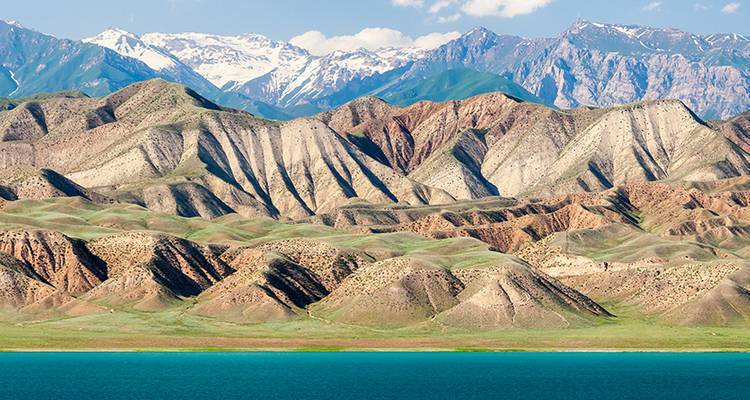 With the adventure tour Tajikistan Explorer, you have a 18 day tour package taking you through Bishkek, Kyrgyzstan and 11 other destinations in Asia. 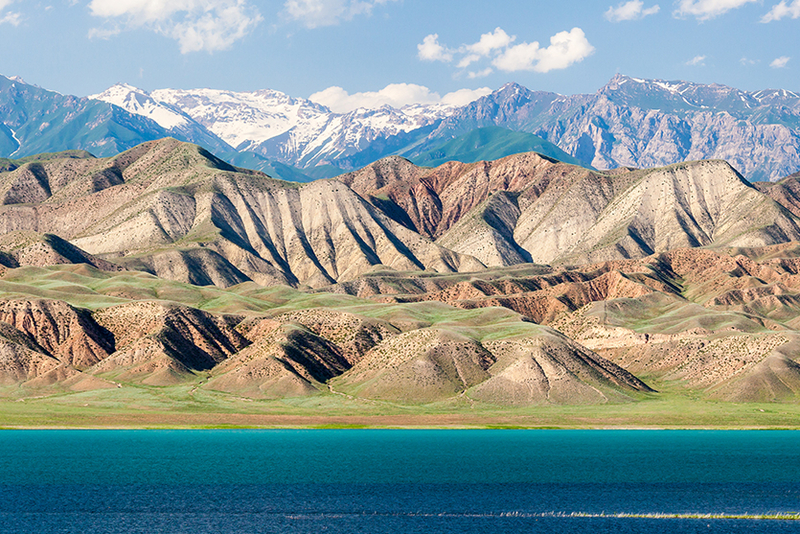 Tajikistan Explorer includes accommodation in a hotel as well as an expert guide, transport and more. A great trip, full of adventures, laughter, culture and history. Could not recommend it highly enough but be prepared for wild camping and basic facilities - which I think is the best bit! Travelling with Dragoman through Nepal and India was a very interesting and worthwhile experience. Answered with details in a very timely manner, professional, knowledgeable, and in my opinion transparent, I couldn't have been happier to complete my booking with TourRadar. Recommended for Kyrgyzstan, Tajikistan and Afghanistan. Ideally 2 weeks before travel. Recommended for Kyrgyzstan, Tajikistan and Afghanistan. Ideally 3 months before travel. Recommended for Kyrgyzstan, Tajikistan and Afghanistan. Ideally 2 months before travel. Recommended for Kyrgyzstan, Tajikistan and Afghanistan. Ideally 1 month before travel. Certificate of vaccination required if arriving from an area with a risk of yellow fever transmission for Kyrgyzstan. Certificate of vaccination required if arriving from an infected area for Afghanistan. Ideally 10 days before travel. Recommended for Tajikistan and Afghanistan. Ideally 2 weeks before travel. Recommended for Tajikistan. Ideally 3 months before travel. Bishkek is the starting point and Dushanbe is the endpoint. TourRadar only requires a deposit of $99 to confirm this Dragoman Overland booking. The remaining balance is then payable 60 days prior to the departure date. For any tour departing before 23 June 2019 the full payment of $2,516 is necessary. No additional cancellation fees! You can cancel the tour up to 60 days prior to the departure date and you will not need to pay the full amount of $2516 for Tajikistan Explorer, but the deposit of $99 is non-refundable. If you cancel via TourRadar the standard cancellation policy applies. Covering a total distance of approx 1,468 km. TourRadar does not charge any additional cancellation fees. You can cancel the tour up to 60 days prior to the departure date. If you cancel your booking for Tajikistan Explorer via TourRadar the standard cancellation policy applies.